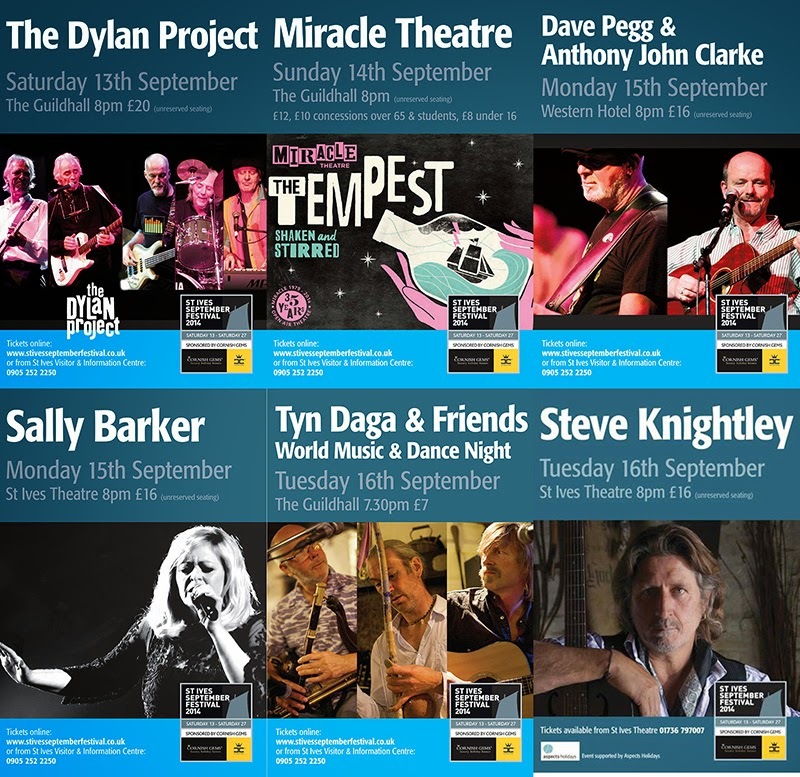 I've just updated the St Ives Guildhall website - with the programme for Autumn 2014. Curved Air - Saturday 18th October. Oye Santana - Saturday 25th October. Squashbox Theatre - Sunday 26th October. There is also another Free For All on Saturday 11th October. Bring along your unwanted household items (excluding electrical goods) - take away any items that you need. Rollers Roller Disco continues to roll every Friday. Also the regular markets - Fair Wednesday and St Ives Farmers Market. Looking ahead - there is more scheduled for November and December - including - Dr Feelgood - Dire Streets - Show Of Hands - The Rat Pack. 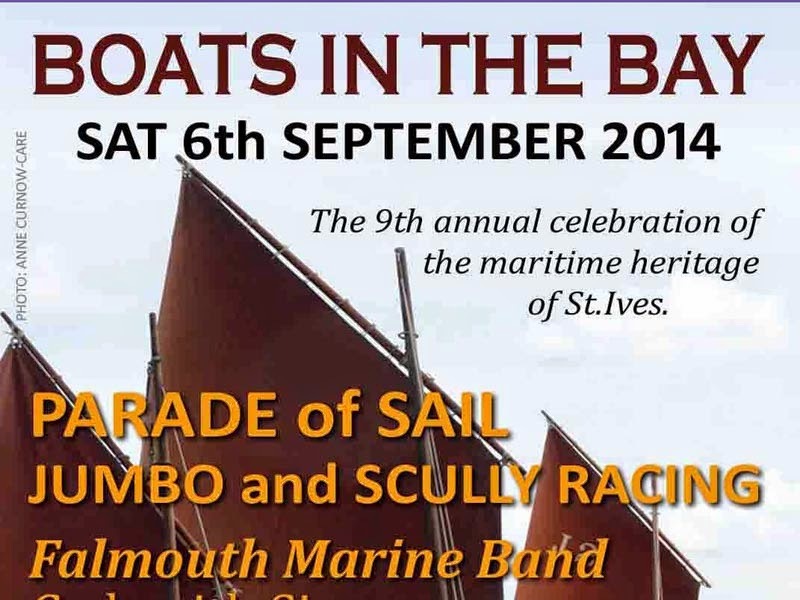 Tickets are available from St Ives Visitor Information Centre and online from CRBO. 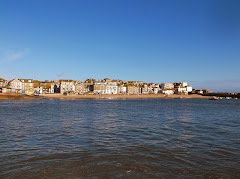 Only a few days to go to the start of St Ives September Festival (sponsored by Cornish Gems). The festival opens on Saturday 13th and runs to to Saturday 27th September - with a host of events all around town. Two gigs - Steve Knightley and Fisherman's Friends - have already sold out - so it might be a good idea to secure tickets for your favourite events now.